Aloha! I offer lessons in beginner Hawaiian quilting. It is one of my many passions. 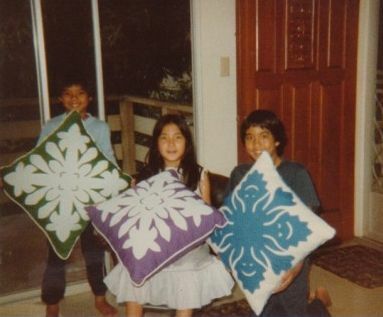 I am the 6th generation in my family to quilt Hawaiian-style. 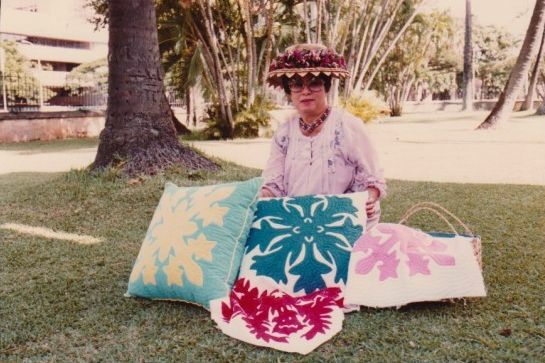 My goal is to share the art of quilting with the spirit of aloha. Hawaiian quilting is primarily hand quilting with machine sewing if necessary. Machine sewing is normally reserved for piecing blocks together when required or for any binding work. 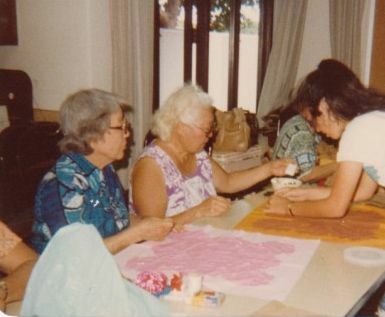 My Hawaiian quilting classes are dedicated to my Kupuna, the late Agnes Lum Kahoe, and my grandmother, Rose Lokelani Tam-Hoy. 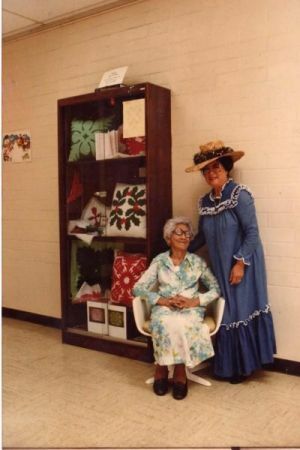 We affectionately call our grandmother, Kaimuki Grandma, because she lives in Kaimuki. 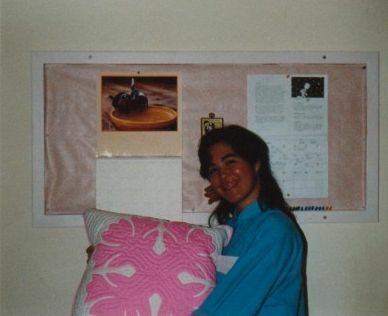 I have always enjoyed her work and assisted her teaching classes since I was 12 years old. I continue our family legacy. I will cover historical background, design, cutting, layout, needle-turn appliqué techniques (including basting), marking quilting lines, quilting (both echo and/or definitive styles), and binding. Students will work on a practice piece, hot pad for the kitchen, or a pillow pattern. Class sessions are supplemented by Hawaiian quilting "homework" to expedite your progress. Please contact me for more information. I have workshops and lessons throughout the year, mostly on weekends. Mahalo. I have assisted my grandmother with many of her classes since I was 12 years old. Here I am at the Lanakila Senior Center helping students baste their pattern. If your guild or organization is interested in having me present a program for your meetings, workshop, or retreat , please call me at 757.369.0996 or email me at lisarobbins@ohanaartsstudio.com . Choices of lectures and workshops so please contact me regarding current topics. Lecture may include speech presentation or Powerpoint presentation, trunk show, and demonstrations. Workshops use one of my original design patterns. The patterns are not included in the cost of the workshop. Those participating in the workshops will be given a supply list with a picture of the quilt. Patterns can be purchased at the workshop. Mahalo! I look forward to sharing my aloha with you.